I have been reading various blog posts about Pale and Interesting without realising it is a UK-based business. 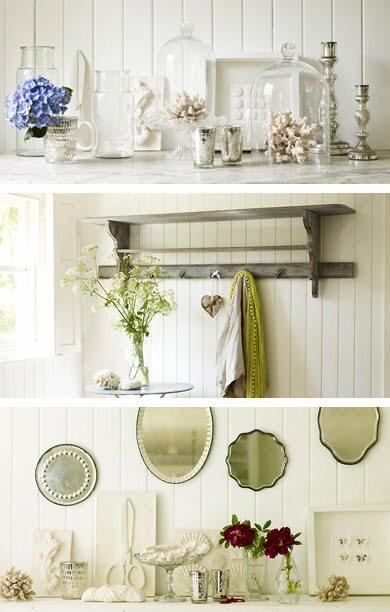 The collection has a simple elegance, as you would expect from the owner, interiors stylist Atlanta Bartlett. I can't identify one favourite item, (although if this cabinet had deeper shelves it would meet my requirements for a linen closet), but it's the styling which especially appeals. I don't often look at lifestyle shots on online shops for inspiration, but I suspect this might become the first. Your blog is marvelous ! Beautiful! I'll have to check them out. Their items are lovely. I adore cream and white. Especially inside of a home. Your blog is ever so lovely. Hmn. Me neither (on the lifestyle shot thing) and me too (on the making it a first).